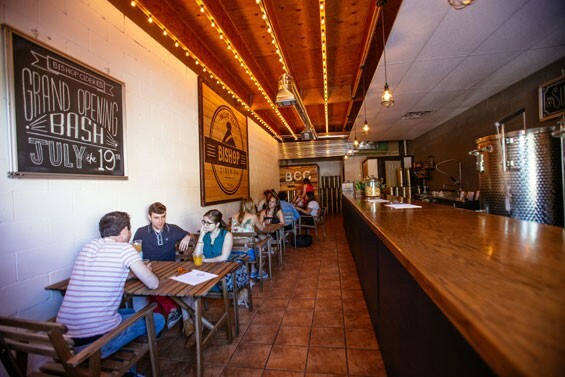 Tasting Room — Bishop Cider Co. The Tasting Room is located in the heart of Bishop Arts on Bishop Avenue between Lockhart BBQ and Eno's Pizza Tavern. It's the perfect spot for taking a load off, grabbing a flight of ciders, or filling a growler to go. We usually have 6 ciders on tap available to enjoy on site or to-go in a growler. We also sell our cans to take with you.